McDonough Elevators is pleased to announce that Patrick McGrath has joined the company as Eastern Regional Sales Manager. 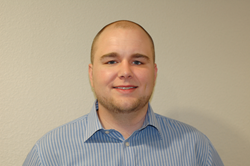 McGrath brings with him over 6 years of experience in sales including industrial customers. Based out of the Baltimore, MD branch, McGrath will focus on construction hoist rentals for industrial and commercial applications in the eastern US including the McDonough branch in Atlanta, GA.
McGrath brings with him over 6 years of experience in sales including industrial customers. His excellent customer service skills and problem solving attitude derives from the experience he has obtained in working with all levels of customers ranging from line employees to executives. McGrath’s personality and experience are assets that will complement and enhance McDonough’s ability to meet the needs of our customers as we continue to provide excellent customer satisfaction and top quality products for the temporary elevator market.